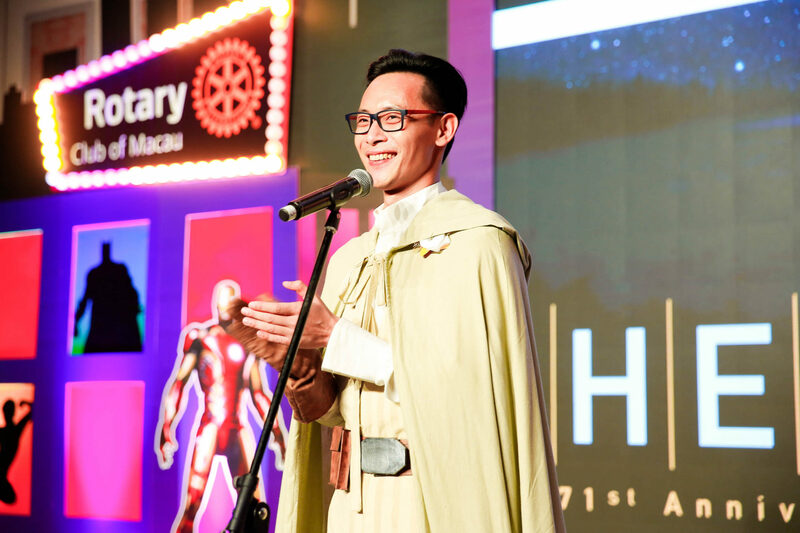 (Macau, SAR) Rotary Club of Macau’s 71st Anniversary Charity Ball held at The Venetian Macao last month celebrated both real-life and aspiring heroes who act in service of others with bravery, selflessness, and ingenuity. More than 400 attendees responded to the theme “Heroes” not only by playing their favorite heroes but contributing generously to funds for Rotary Club of Macau’s many service projects. 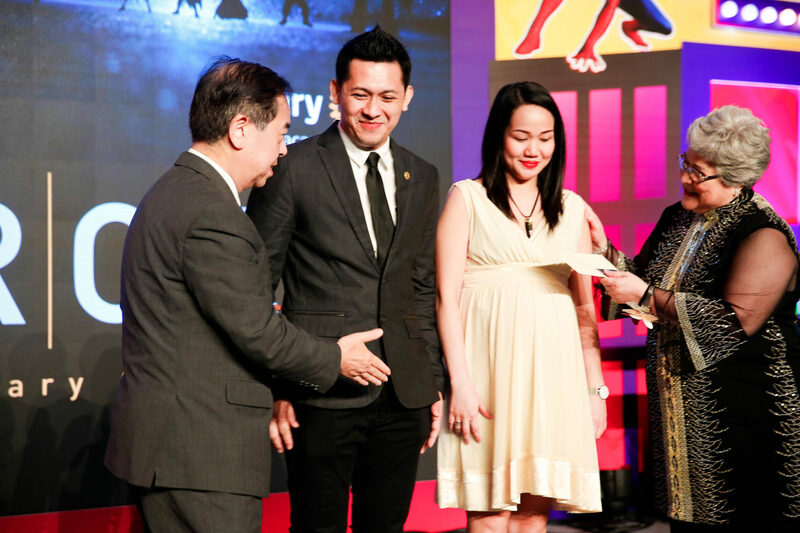 One of the special heroes hailed at the Ball was Mr. Loreto Mijares, who during Typhoon Hato in August 2017 rescued three elderly locals desperately struggling in the flood waters near his home in Barra, Macau. The video of Mr. Mijares’ heroic act went viral and became some of the most silver-lining moments in Macau residents’ memory of Hato’s rampage. Rotary International District 3450 Governor HW Fung, accompanied by Rotary Club of Macau President Fatima Ferreira, conferred the Paul Harris Fellow to Mr. Mijares in recognition of his extraordinary selfless act. “Service above Self is Rotary’s motto. Mr. Mijares is not a Rotarian, but his bravery speaks volumes for his commitment to the humanitarian spirit we are celebrating here,” said Ms. Ferreira. Mr. Mijares, accompanied by his wife, being recognized as the Paul Harris Fellow. Rotary Club of Macau Ball Chair and President-elect Elvo Sou in his opening remarks made a special plea to the less dramatic, yet no less selfless act of lending a helping hand and being charitable. 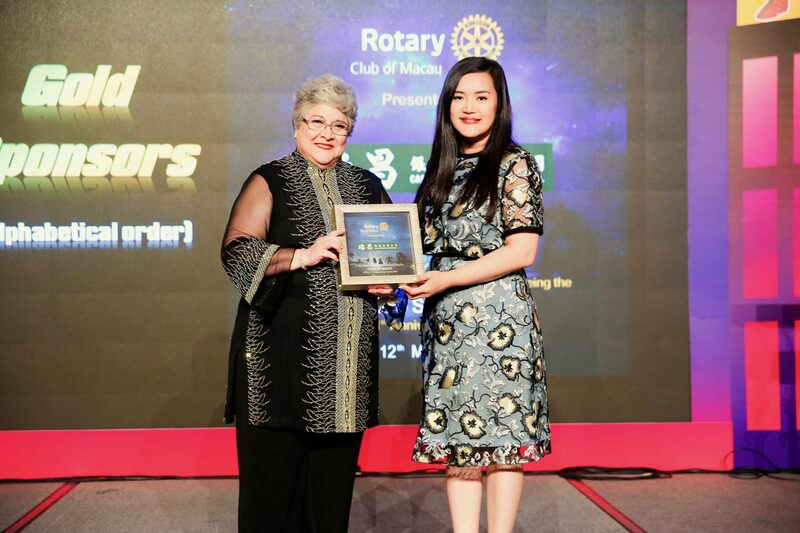 “Locally, the Rotary Club of Macau has served the community in Macau and beyond for 70 years. Many of our projects in recent years aim at improving the lives of children with special needs and the elderly in Macau, as well as providing educational opportunities for underprivileged students in China. And we can only do it because of your support,” said Mr. Sou to the attendees. Like previous years, all funds raised during the Charity Ball would be donated to the said projects and more. The year 2017/2018 witnessed the Rotary Club of Macau bringing gifts of love and joy to children with special needs and their families at the Club’s 18th annual Christmas party; taking home-alone grannies on two separate day-trips around the University of Macau, new Cotai Strip, and a Portuguese lunch in Taipa; and providing free dental treatment for residents in Santa Maria elderly home. The Club also continued its annual blood donation day project, its horticulture therapy for people with mental illness in rehabilitation, and the Guangxi Project for Education and Poverty Alleviation, in which grants and awards were given to primary and middle school students in rural areas. During the deadly fire in Portugal in 2017, the Club donated 2,500 Euros to local Rotary Clubs in the disaster area to help reconstructing three houses that were burned down by the fire. The Rotary Club of Macau was officially established in 1947 and is composed of professionals from different walks of life in Macau’s society. English is the working language for Club meetings and proceedings to accommodate the 21 nationalities present among the Club’s members, who in total speak 16 different languages.